The yamas are ahimsaa, satya, asteya, brahmacharya, and aparigrahaa. Following the yamas classically in not harming, not lying, not stealing, being celibate (or monogamous), not grasping or being greedy is a good idea, and a good place to start. The reason that Patanjali placed the social precepts first had eluded me for many years. It is clear that this particular model of eight works from the outside in. It sounded good, but in my practice, the first movement of yoga was to soften the boundaries, to close my eyes and to turn within. To me, the yoga of the world was much more difficult than turning within to whatever flavor my inner world was offering. How could I bring my fearless exploration of the inner self to a brave vulnerability within my intimate and other relationships? I just couldn’t do it sometimes. I couldn’t be fearlessly vulnerable and so my old defenses would come up at critical moments and I would intermittently guard my heart from further wounding, or else pull out mental weapons to strike first in the guise of protection. At first glance, the placement of the yamas is obvious. It goes without saying that it would be difficult to obtain and secure an elevated perspective if one was also engaged in any one of the following: to hurt or to want to hurt others; to lie, and to engage in the complexity and time-consuming mental processes of creating lies; to steal from others; to cheat on one’s beloved (another very energy-consuming endeavor, not to mention including the first two yamas in the act); or to grasp for what others have, or cling to what you do have (or no longer have). Perhaps there is really no more to it than that. Any one of these does harm to others, but it also creates quite a bit of mental anguish that will either press us coldly away from our core or keep us spinning in inner (and outer) conflict. It is understandable that many who have yearned for something better, lighter, freer from this state of mind might turn to these yoga sutras. Upon finding the sutra that says that the yamas are an essential and primary step to progress on the yoga path, one may be tempted to avoid it, or skip over it entirely, in denial. But the step actually must be taken. Otherwise, the sadhaka will be barred from true and lasting progress. Okay, so don’t hurt anyone, don’t lie, don’t steal, don’t cheat, and don’t hoard; then you may proceed. The under-appreciated genius of the yamas placement as the first of eight limbs is this: without these behaviors, any inner work has no hope of standing up. It will collapse. The way we think, see and behave socially helps strengthen the outer vessel for the inner work. But there is even more to see in this sutra. Yoga is an ever-deepening and ever-expanding path that draws us again and again to these very basic tenets. We can look again, and extrapolate the meaning. On one level, these very explicit social ethics can all be seen in the light of their reflection, nay, their inescapable impression upon our personal and inner world. I alluded earlier to the implications of what happens to us personally when we are not embodying these five things outwardly. But each yama in it’s own right has an inward sheath. Imagine that you hurt yourself, lie to yourself, break commitment after commitment to yourself, and cling to old ideas. As the yogin invests more into her yoga, she delves more into the mind. It is then that she sees how many negative and harmful self thoughts she has. She sees how she creates more suffering and separation through self-lies, however subtle these lies may be. She sees how she continues to break self-contracts, and so her own heart again and again. She sees how clinging to old constraining beliefs prevents her from envisioning more worthy ones. This covers four yamas. But how can you steal from yourself? Do you rob yourself of precious energetic nutrients through negative thinking, through patterns that don’t serve, through not allowing enough of your soul’s natural sunlight to come through? Here is one way that I enjoyed looking at the sutras today. To live without desiring to cause harm (Bill Mahony’s astute and subtle translation of ahimsaa), to live our truth, to live authentically, to live from the inner depths, and to live fully without clinging. The world could use more of us living this way. We can examine the implications of the yamas in countless ways. Think of all the ways that we may cause harm and not even realize it. When we examine the word truth, it has so many layers. To illustrate the sheer complexity of what truth itself is, Douglas Brooks likes to say: “A myth is a lie told in the service of a greater truth.” And moreover, to show even in the physical realm that truth and myth rest hand in hand, he will often say: “The ground is solid. At the molecular level, there is more space to the floor than substance.” So, it is solid, and it is space. That means that at one level of reality one thing is true, but at another level it is opposite, or something different is true. “The truth” or “your truth” or “my truth” is and will always be relative and co-existing with contradiction. It is this paradox that presses us to grow our truth. It is this paradox of how we are even here. When it comes to speaking our truth (and now we are back to satya), I can’t help but bring up the four gates of speech. They are: Is it truthful? ; Is it necessary to say? ; Is it the right time to say it? ; Can it be said in a kind way? These are trustworthy gatekeepers to employ. Notice that though truthfulness is first, it is by no means the only gate. There are more levels to filter through before allowing those words to actually pass through our lips. Here, truth (satya) is placed first, and intention of non-harming (ahimsaa) last. While all gates are important, I especially appreciate the space between the first and second- truthful and necessary. First of all, we have to trust that we really are trying to make the best choices right now. So we can’t second guess ourselves, all the time wondering if we are really in denial. If we are in denial, we wouldn’t know it until we did. Then we can take on the denial, make real change, and thus progress. Secondly, even if something is true, it may not be necessary to say. Here’s an example. When I am leading a teacher training, I choose what I view are the most essential next steps for the teacher to take their teaching to the next level. If I said everything that was “true” it could undermine their progress as a teacher. They could be inundated with simply too many details to be able to focus on one or two, and likely the truth that we really want to get at is buried more deeply under the thickness of “I will never be good enough” or another layer of such stickiness. Then “never good enough” would become even more solidified as their “truth”. It wouldn’t serve Truth. The real truth is seeing where the new teacher is shining, fluent and clear in his or her offering. They want to uncover and access that truth more skillfully, and that is what I want for them too. Seeing in this way requires incredible discipline because the part of the mind that is so good at finding what does not “fit” or what is unique is so powerful. It can pull us into seeing narrowly without our even noticing it. But behind this power of the mind is another power that is able to see pattern, connections and the big picture. The beauty of training ourselves to listen first to this more spacious part of our minds is that the details-oriented part then gets the chance to entrain itself to the big picture. This magic combination is called discernment, and allows us to be razor sharp and spacious simultaneously. This way of seeing is merely one example of Anusara’s breathtaking beauty. We “look for the good,” which I like to explain in the following way. We look for where the energy (Shakti) is flowing–because when we see that, we simultaneously see where it is not flowing. We see beauty. How could we not see beauty when we are seeing where energy is flowing! That in itself is so powerful. Add that to the ability to instantaneously see where the energy is off, misaligned, not flowing, sluggish, blocked, tangled, locked up, etc, and voila–you have your next step to greater flow. That’s the yoga. It is all just energy. So the “truth” is energy. It is energy flowing (or not). In order to speak “our” truth, we must search for the depths of truth itself. In order to know one’s own truth, one must plumb the depths of one’s own heart. When one plumbs the depths, everyone is compelled to their own hearts, again. Everyone’s heart yearns to be open. Open hearts transmit this irresistible desire to restless hearts, so that they too may open. The word “sat” also translates as “Reality”. In the intro of his translation of the Pratyabhijna Hrdyam, Jaideva Singh discusses the synonymous identity of sat and cit. Reality and Consciousness are one in the same, and so are not distinguished in the tantra. Consciousness is the foundation of everything- that is it’s definition. So it is also the foundation for everyone’s truth. The question then is “Do you realize that?” May Reality-consciousness or Truth-consciousness then be the recognized base for our individual truth. Reality is also related to Dharma, including the structural support of the cosmos, universe, world. Dharma is also how we ourselves choose to live our path, including ethics, and so the yamas, and more. Truth itself matures within us if we are dharmic and vigilant on our path. Anusara is maturing. The whole yoga community is maturing. Anusara is growing up, and so are its core teachers. Our beloved Darren, Christina and Elena are all following their hearts. Equally so are the many esteemed teachers who remain at the core of Anusara. And, we will all go to a deeper level of heart for it. We are a growing community of heart-followers. I am deeply grateful for John’s bravery and for his reaching deep within himself to bring more harmony to life itself. I felt this in his recent interview with Waylon Lewis from Elephant Journal. My heart swells with love for Darren, Christina and Elena. I have the highest respect for each of them. Darren for his disarming humility and true open-creativity, Christina for her stellar crystal-clearness and solid dedication, and Elena for being juicily passionate about connecting with people, and each of them for countless other reasons. I was deeply sad when I first heard the news that they were leaving our community. Yet, a larger part of me knew that it would actually serve each of them, the Anusara community, the yoga community, and ultimately help to raise planetary consciousness. But what I felt was undeniably a sadness. I will truly miss their presence in our kula, and what they offered to every single person in our kula. Even those they didn’t know personally have been uplifted for their contributions. In honoring that sadness for several days, the feeling began to give way to a distinct excitement of what these teachers will continue to bring to our world. I believe they will each leap to several new heights in quick succession in their teaching, and will continue to raise the bar for the world yoga conversation. I am excited to continue the conversation with them. I honor them each for following their hearts. Also, I honor those teachers within the core of the Anusara community, who because they are also following their hearts are refreshing their commitment to teaching Anusara Yoga. I cannot overstate how very fortunate we are to keep such magnificent company within this community. I have come to know over these years that life-affirming tantric philosophy of intrinsic goodness is truly saying yes to the full spectrum of life. It is not always easy. It is often more challenging than anything I ever could have imagined upon initial hearing. I contemplate daily how best to serve. I commit myself to radically loving my self, my beloved, my children, my family, my friends and community, my students, my teachers, Anusara, the greater yoga community, and the world. There is incredible diversity and delight in receiving, carving, and being imprinted by the contours of yogic life. One question has been simmering on the altar of my heart for some time now: How can I bring the teachings of yoga to people who are uninterested in or intimidated by asana? The principles of Anusara yoga work so well that we have the potential to serve so many more people. As we grow, let’s take on the greatest enemies and challenges we can identify. I believe in my heart that this is precisely what we are about to do. There are infinite ways to follow the heart. May we all follow it. And not only may we follow our hearts, may we lead with them. To borrow the words of Mr. Iyengar, may we all and together “lay down the precepts of a universal culture.” Let any who wish to make the saarvabhaumaaha mahaavratam, the great universal vow. I just returned from a three day teachers intensive with my teacher John Friend, founder of Anusara Yoga. He offered a wealth of knowledge and practical teachings on how to live the Anusara Yoga path more fully in all of our relationships. I reflect here on just a few key elements of our very full three days together. John outlined three main things that the couple needs to share: Vision, Communication, and Spark. There are equivalent to heart, mind, body and to our three A’s: attitude, alignment, and action. A couple must have all three of these in order to thrive. One way John emphasized to cultivate a great relationship is to make vows for shorter durations. Doing this will give the vow a potency that “forever” or “for life” can not give us. John also recognized the beauty and fortune in having a life mate, but that that is not necessarily everyone’s path-nor should it be what to strive for. I really appreciated this teaching because I think there can be a lingering guilt of a “failed” marriage, a vague anxiety if one has not been married by a certain age, or a moral stiffness around being lifetime partners “no matter what”. Instead, John invited us to make vows, but to make ones that we know we can be successful in, ones that are compressed meaningful sets of time where the vow is fresher in one’s consciousness. “One trip around the sun.” And then see where you are. Having been married now for nearly 14 years, I salute this kind of thinking. When I got married I thought that you just made a one-time decision and that was that. You were married. What I came to learn over the years is that marriage takes a renewal of vows to work well. To flourish, it is best to renew the vow every day. This is analogous to making a commitment to yourself every day. Love and honor yourself every day. Our yoga practice invites us to awaken daily to the divine light. This refreshes our heart in the delight of this life. We have the opportunity daily, hourly, in every moment, to create a beautiful life, serving the divine within oneself and in everyone. What is your vision? What are the commonalities of vision that you share with your beloved? with your family? with your co-workers? How is your communication successful? Do you use “I” statements? Do you really listen? Can you appreciate your partner’s point of view without trying to convince them that they should have yours? I think of sharing a common vision as seeing the one and communication as the recognition that we won’t see things the same way. If we did, we would not have a friction that keeps a relationship glowing. If you are in a long term relationship, have you lost a sense of romance and spark? John recommends slowing things down. When we slow down, we are able to sync up to our vision and initial attraction to each each other. The peril and the beauty of long term relationships is that we know one another so well. We can become complacent. But the beauty lies in the continual refinement and subtlety of knowing one another’s hearts. As in meditation, or any in any practice, a thorough intimacy can only be established over time. The delicacy of your beloved’s heart, his vulnerabilities and depth of fathomless love can only be tapped and revealed through deepening trust and real commitment. John invited us to make a vow to this practice, that the dharma of the yogic path is to continue to walk it, till the end of our lives. In this kind of commitment, a sense of anxiety washes away, and we simply take our seats, as best we can each day. We step up to ever greater challenges each season. And there arises a paradoxical sense of urgency that urges and ushers us to awaken to the majesty of our lives, to release attachment to suffering, to relinquish control on all the inconsequentialities, and to embrace the exquisite ordinariness and dailiness of love. I was honored to officiate my dear friends’ wedding less than two weeks ago. Over the course of meeting with each other to discuss what marriage means in its many layers, I learned what this vow meant to each of them individually, as members of two different religious and spiritual backgrounds, as a couple, as a family, as community members. It was very beautiful to watch them honor one another’s differences and yet to look for what unites them. The ceremony was universal and personal, with rituals from various aspects of their collective heritages. They each expressed a desire to devote themselves to one another, to cherish each other, to start a family together. They share a wonderful vision, filled with hope for something lasting, for a savoring of the eternality in an imminent divine marriage. How do we fall in love with ourselves and then how do we do so again and again with each other? And what if you are not in an intimate relationship? John suggests to be clear what your vision is, yet don’t get so specific of what you want your partner to look like on the surface that you don’t see the one right in front of you. One sect of the Tantra is called Sri Vidya, the Goddess Wisdom, or the Auspicious Wisdom. Rajanaka Yoga is of the Sri Vidya. Rajanka Yoga is rich in lore and rhetoric of intimacy. Yoga itself is an intimacy of all parts of oneself to each other. Intimacy is the very way that any and all of us are even here. Life is intimacy. As a twin, I have always felt a keen sense of intimacy. To share the space of a womb is to learn about tight quarters, living together harmoniously and leaving room for each other to develop on one’s own. I grew up communicating through the slightest flicker of the eye. And too bad for you if you happened to be on the opposing team with us in a game of Pictionary. I would draw a triangle and Rachael would know I meant New Orleans. Even with somewhat of a sixth sense when it comes to intimacy, I still have a lot to learn. I can still shut down when something insignificant triggers some ancient pattern in my psyche. It is so easy to miss the most precious moments of life because we think we should be somewhere else, with someone else, doing better than this at this stage of the game, confused about what our hearts really want. The dharma is to see which of these three elements we can juice up in any relationship. John spoke beautifully about navigating ending relationships with less heartache and more love. When we know it is time for a relationship to be finished, we gracefully move through that part of the cycle. All living things must die. It is simply their nature. Through the cycles of all relationships, may the force of Dharma be with you, always. Who really knows what the best choices are? We may only make the best ones we can for any given moment. When someone chooses to kill and murder innocent people, when someone makes it their mission to destroy a people, a race, a culture, then who will stand for those victims? Is peaceful resistance available to encompass violence if that means that it will end more mass violence? How does one sit down and talk peacefully with a terrorist? How does one respond to others when they have created harm? Some say that the only answer is light and love. I submit that that light and love sometimes can come in laser ways, in incisive and even with some violence. The Bhagavad Gita teaches this and yet we may misinterpret. If all our Seals dropped their weapons, would our world be better? Can those of us who are starting to create peace within really say that there is no room for killing certain thoughts, living with others, cutting some off, releasing others-as far as I have experienced, I see that a sort of violence has helped to move into a higher wisdom. When I am sick, I have taken just tea and vegetable broth and other nourishing foods. If I don’t get better, I may bring in more heavy hitting remedies. And if I am really sick, I may take antibiotics or some drug that seeks to kill the infection. Should I allow the infection to live on in my body? And if I would die? Does this serve life? Gandhi has been a hero of mine since childhood, but as I look at this extreme example, I think of his celibacy. If all of us were to stop having kids, we would have no world. If we did not stand up for those without the ability to do so, would we feel peaceful still? My dharma, as far as I can tell, is one that involves the facing of my innermost fears, being vulnerable with my ego out in the winds and elements and allowing it to transform, sometimes slaying demons, sometimes making friends with them–or at least tolerating them and keeping them as part of navigating the inner world of mind and heart. What I know about this process is that it can appear warlike on a one level, but beneath is that deep abiding peace. Inside that is that deep rooted desire and passion, and inside that is the stillness. Peace and passion have ever been intertwined. I know what it means to be battered, to be torn and violated, tossed out in the ocean with no one on the shores of rescue anywhere in sight. I know what it means to forgive and to want and hope for healing. But what of the one who has gone so far as to kill and murder so many, and one who’s life mission is to kill, to destroy people because he doesn’t agree with someone? And sliding back onto the continuum, I think of how I feel inside when I argue, sometimes measured and hoping to serve sri, sometimes out of it’s own power. There is only resolution when I finally decide inside myself that it is time to let it go. There surges an great ocean of peace inside, sometimes with regret that I wasted all that time, that I may have caused injury. If we all stand up and walk in the streets and march and call for peace, will it be heard? Can our passion back up our call? If each of us who are yogis sit in meditation with more urgency, roll out our mat to create more beauty, lend a smile to one who we call stranger, reach out to a friend, will terrorism be banished? Can we kill sometimes and still be yogis? When I was younger, I thought that peace was the only way. Since I was a child, since I was a teenager, since I was in college, since I began practicing yoga, I thought peace. It is so simple and one can stand behind that, but something has shifted in my fullness of understanding. One could say that that understanding is worldly and not of the highest wisdom, but my experience of feeling the suffering of the world, the suffering of victims, and their families and communities is deeper each time my awareness expands and I can’t help but want to strive to grow brighter, to practice yoga because in the world others are doing things to create more power to use for bad. I want to create more power to use for good. And I think that soldiers in this world are necessary. I think that they serve the world. And I think that they each may choose to do what they are doing to bring goodness to the world. Certainly then they are not necessarily deluded. Is there ever a time when all diplomacy has been exhausted? Could we all walk up to Bin Laden’s compound and hold hands and surround the compound with our love? How many could he shoot down till they were out of bullets? Would he walk out and suddenly realize he had been wrong all this time? If we had not gone into the compound would he just keep giving orders for more terrorism? I have no weapons. I walk unarmed, but I have love in my heart, I have passion in my heart, I will stand up. I have those celestial weapons of the goddesses, at least in my imagination. I carry them with me inside, and whenever I need them I pull them forth. I reside in love even with these. I reside in love and want only that for all. I believe that I am authentic, and that if I try I can positively influence my children, my family and others. I realize and have no doubt that each individual must come to their own knowing in their own time. Even though I have written perhaps more questions than answers, I know that I believe in the power of love. What do you believe? Sutra 1.7 Correct knowledge is direct, inferred, or proven as factual. Sutra 1.8 Illusory or erroneous knowledge is based on non-fact and non-real. Sutra 1.9 Verbal knowledge devoid of substance is fancy or imagination. Sutra 1.10 Sleep is the non-deliberate absence of thought-waves or knowledge. Sutra 1.11 Memory is the unmodified recollection of of words and experiences. When the vrttis occur we can basically categorize them into five categories. They are correct or incorrect, we have concepts, we sleep, and we have memory. Our correct turnings have to be in contact with our incorrect knowing. They influence each other. When we are erroneous in our thoughts, we do not know we are wrong until we do. It is very interesting how correct we can think we are, and then find out later we are wrong. Following “wrongness,” we may feel ashamed, sheepish, or even stupid. Sometimes, we are just plain wrong. Knowing that is not based on reality is like day-dreaming, dreaming, reverie. While it may not necessarily harm or be negative, it can be ineffectual and keep us in a whilrling tide pool of unproductive, unconscious thinking. Substance is found in the depths, and part of our yoga is to draw it out and express it. There will be more on how sleep is related to samdhi in sutra 1.19. The only way we know that we had a good night’s rest is how we feel after it. There is more on being aware even in sleep in the Sivasutra. I am called to remember the 4 states of consciousness, also delineated in the first chapter of the Sivasutra. They are waking, dreaming, sleep and turya. Turya means “fourth” and is the state of consciousness that is poured like liquid into the other states. It is always present-as the self, but we can live unaware of the continuous-ness of consciousness. Memory is an incredible movement of consciousness. What we remember is always shifted as we grow. It is the same story yet somehow different each time. When we look at the Yoga sutra again, it is as if we have never seen it before. Where was all this before? Remembrance of consciousness itself happens for anything to even be here, for consciousness must remember itself to create. The movements of thought and consciousness are fivefold which are afflicting or not. In the next few sutras, we find out what the five are, but even reading this for now, after sutra 1.4 knowing that we identify with our whirling thoughts, we say that this will either be disturbing or not. And the distress could be in any of the five categories. What is it that disturbs us? We may think that apparently the disturbance comes from the outside but it always arises from within in the mirror of our own consciousness. Vrttis categorized, sorted and collated. Here is the first sutra to look at that doesn’t have a sort of meaty and direct message, rather it refers to the previous and the next several sutras to come. Yet looking at the categorization itself can be useful in the same way we can re-organize a closet. We clean it out, we give some things away, we throw some things away, we can see everything we have and so we have a new appreciation for those items. If vrttis are the ways that our thoughts can be collated and sorted and also we know will get cluttered again to be cleaned out again, we will also see in the organization that some are negative and some are positive. What if we only saw what was good and did not see the bad in the world? Would we be able to make choices? Would we think that everything was acceptable and good? At the essence, consciousness is beyond category, beyond labels of good-bad. As Anusara teachers, we always look for the good first. 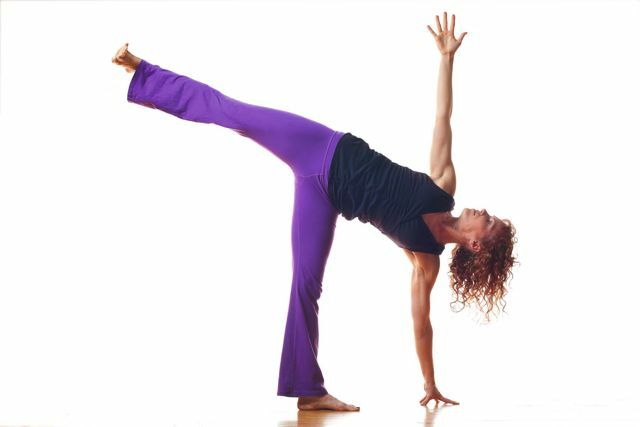 We begin by seeing where the energy is flowing, where the pose is connected, open, and the beauty of the pose. Then we look at the energy of the pose and see where the major misalignment is. Seeing where the energy is misaligned gives us a choice. Now we can enhance the pose by one instruction. If we were unable to see the energy of the pose, we would not know where to go or what to adjust and so we may make an insignificant adjustment that doesn’t really transform the energy of the pose into its fullest potential. The interesting thing here is the contrast-we see the essence flowing just as it is. And we can also see that underneath, somehow locked inside the pose, is one adjustment that will bring even greater energy flow to it. This is aligning along with the vrttis to the main source of energy in each pose. At other times the seer identifies with the fluctuating consciousness. Yoga Sutra 1.4 is the stepping towards what else happens when we are not in the experience of recognizing we are the delightful seer. The deal with embodiment is that we have time, space and identity. We simply would not be here as embodied beings otherwise. The irony of yoga is that there would be no need for it if we were not condensed forms of One supreme consciousness. And for every moment we are having one experience. Within each experience, we are experiencing on multiple levels, some concealed, some revealed. If there weren’t concealment we would not be able able to experience what is revealed at any given moment. So even though we may be daydreaming of a place faraway or a place only in our imagination, in the past or the future, there we are thinking and feeling whatever it is that we are experiencing. Our body may be in one time-space, our mind sometime-somewhere else-but that combination of where our body is, where our mind is, where our heart is, is going to make the experience. Between what is revealed and what is concealed is a vast array of some things being in the forefront, some being in the background. Sometimes, our more subtle energies are in the forefront of our awareness. The previous sutra describes that experience-we dwell in our true splendor. So, the next question is, what happens when we don’t dwell in our true splendor? On one level we are always dwelling there, we are just not aware of it. On another level what is sat, what is, what we are experiencing as real is the experience of more fleeting and fluctuating waves, vrttis. Rather than dwelling in one’s swarupe, one’s splendor, one’s own true state, the seer is sarupya, identifying, being close or near to the vrttis. We can go back to Rg Veda 10.90 about Purusha to remember that hymn that states that ¼th of consciousness reveals itself and ¾ths are always concealed. With three-fourths Purusha went up: one-fourth of him again was here. Then He spread Himself out to every side over what eats and what doesn’t eat (10.90.4-5). This hymn is a fascinating cosmological hymn describing how a cosmic person creates the worlds and also is somehow more than the world even as he too is created by it. Paradoxes aside, the yogin upon first practice may think the yoga is to uncover the ¾ths that are concealed, in the heavenly realms. But the Vedas have something far more interesting and expansive embedded in them than issuing a challenge to figure out some fixed measure of the ¾ths-in fact there is no fixed ¾ths because the universe is expanding. The Vedas teach that the universe is vast and expanding: This Purusa is all that has been and all that is to be (10.90.2). From the Rajanaka Tantric point of view, if we focus on the expanding ¼th, on the part that is here and revealed here now, we will have plenty enough to practice. We need not worry about what is concealed, but rather pay attention to what is being revealed. If we are always trying to figure out the ¾ths, we may miss out on the ¼th right before our eyes. Today, as I am a little sick, I feel my sore throat, my lower energy, and I had a very full day and do again tomorrow, and so on. But the invitation of this sickness is to go deeper inside and feel the vibrancy on a deeper and more intrinsic level. Sometimes, when outer vibrant health is so present, we may not even notice, we can take our health for granted. But when we feel sick, we remember acutely what it is like to feel vibrant, but in a curious way we also forget what it is like, and so however the lens of sickness is allowing us to see the world, there we are, experiencing it just as we are. Sickness itself is not necessarily a detriment to spiritual practice, just as the vrttis are not necessarily a hindrance, just as the ¼ does not obscure that we know there is even more. Rather quite the opposite can be true, can be sat, can be what is our experience. Resting while being present in a full and active day-resting while acting fully: this is a concept of both identifying on one level with the fluctuations-and that the more we receive those fluctuations just as they are-for instance, sickness-vrtti, the more we can actually align with what their energies are offering us. If we are looking at the vrttis as more unsettled and anxious thinking that spins us away from accepting and receiving what ¼th is being offered in any given moment, then we could interpret this sutra ironically as this: we are splitting ourselves dualistically. We are identifying with the vrttis OR we are seeing ourselves as somehow separate from our vrttis and so we start thinking we should not be identifying with them and so then our thinking becomes based on what we shouldn’t do OR we are doing both of these! The Spanda Karikas tell us throughout that each thought and emotion can be a gateway to the One. They also tell us that every thought and emotion is nothing but the One. May we bring ourselves fully to every moment so that we allow for each vrtti to be felt and thought fully. May we be present with every sickness, soreness, etc so that we may attend to what is. Today, a little sick, I feel the love of my family and their small gestures, their own vrttis swirling, unwinding, winding, I could sense my students’ sorrows and joys, know the fragility of health, acutely feel the delicacy and brevity of life, and that unconquerable spirit that pulsates and chants, “I am”, “I am”, “I am this and this and this”, and simply once more, “I am” no matter what or when. “I am” is eternal. “This” is infinite and whatever we as “seers” are able to “see” ourselves as in this ¼th revealed. .Sutra 1.3 bestows remembrance of when we steep in our essence. Then the seer dwells in His or Her own splendor. When does this occur? When do you dwell in your own true splendor? I watch my son, Oliver, being tickled by his dad. That laughter and light shines. I watch my daughter belt it out on stage when acting and singing in her school play. Their lights are so purely radiating at these times. These are two instances of them shining in their own true splendor. For my experience of watching: of being the “seer” in this instance-the one watches other “seers” become and be themselves. A seer watching seers can lead to that seer dwelling in her true splendor. I bathed in the rays reflected upon the mirror of my own consciousness. For a tantric thinker, to read this is to think of places in our tradition where words like “splendor” and “seer” and “consciousness” reside. Prakasha is the power of the emanating light of consciousness, it is how we are “seers”. Vimarsha is the power of self-reflection. These are the powers of the divine to know itself. These are the powers within each of us to know our selves. Prakasha is not experienced without a mirror, without self-reflection. To empower our experience, we reflect. In the tantra, we say that the entire universe emanates within the screen of our own awareness. There I was, reflecting joyfully watching my children being themselves. Yes, they are always themselves, yet sometimes we are somehow “more of ourselves”. Our children, and all of us really, seem to be ourselves when we are in our passion, when we are doing what we love, be it in nature, listening to or playing music, flowing freely in a challenging asana sequence, and so on. What is it about these circumstances that lend to the flow of consciousness somehow in a deeper alignment? Somehow the negative peripheral thoughts are quieter. Instead of being a league of overgrown antagonists, they become more like harmless, floating insects on a warm picnic day. They may still be there, but we are in the fullness of the experience of the entire shimmering landscape of our consciousness. Douglas Brooks of the Rajanaka tradition always says that “yoga is becoming virtuosic in being yourself.” Be yourself. Dwell in your splendor.